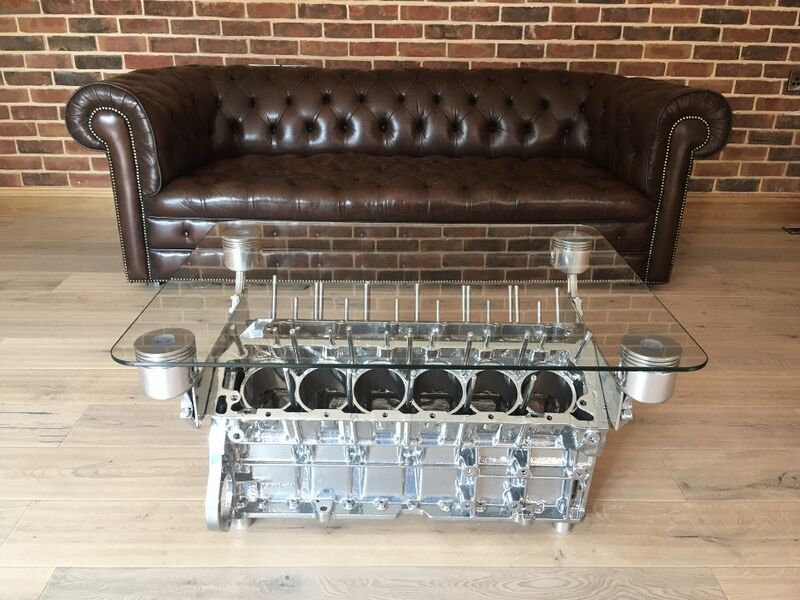 vee8design is a specialist in creating bespoke furniture handmade from automotive parts, including the classic engine coffee tables, car seat sofas and even a little something for the Top Gear set! 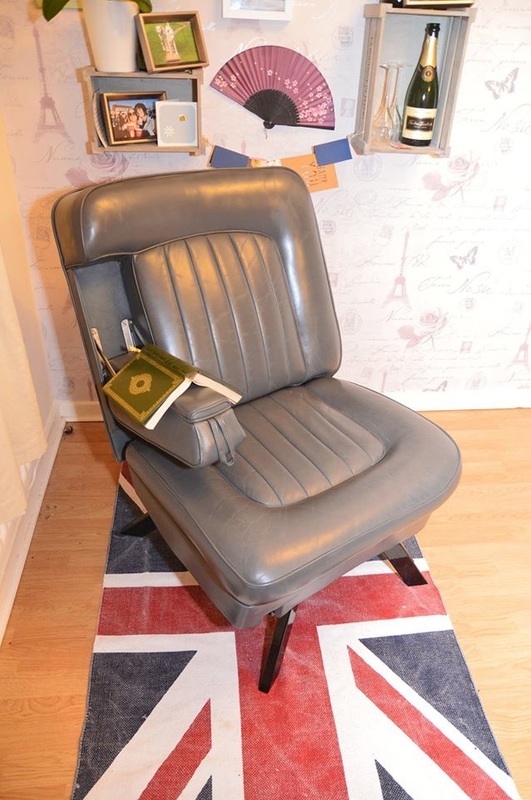 The perfect addition to your mancave, office, showroom or conservatory. 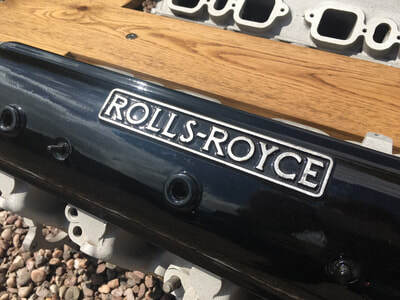 ​Based in Worcestershire, UK, vee8design has been creating exciting and unique automotive furniture designs since 2013. As well as building bespoke furniture to order I always have a few pieces completed and ready to purchase. 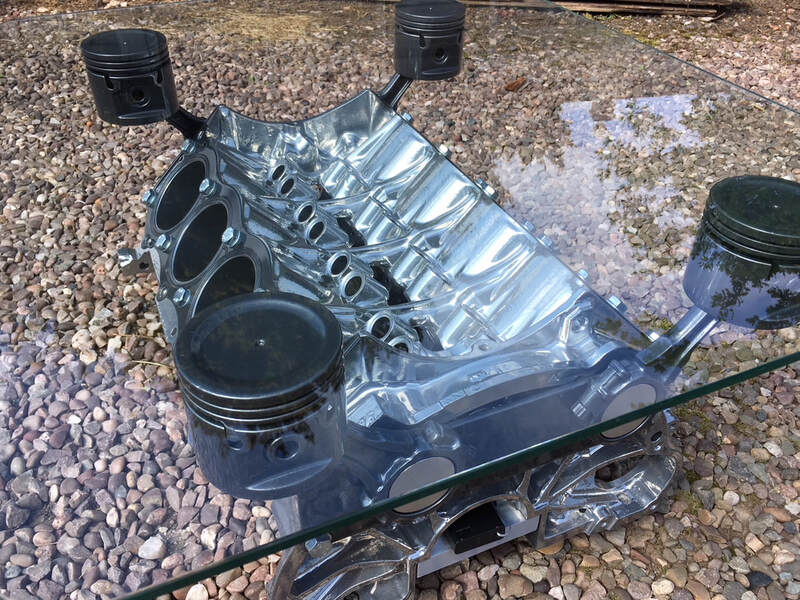 So if you are after a unique gift for Christmas, please have a look at my "Items Immediately Available" page or contact me to have a chat about what you are interested in! 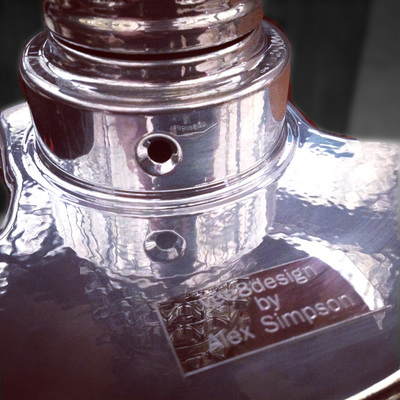 AS SEEN ON BBC3's EXTRA GEAR! 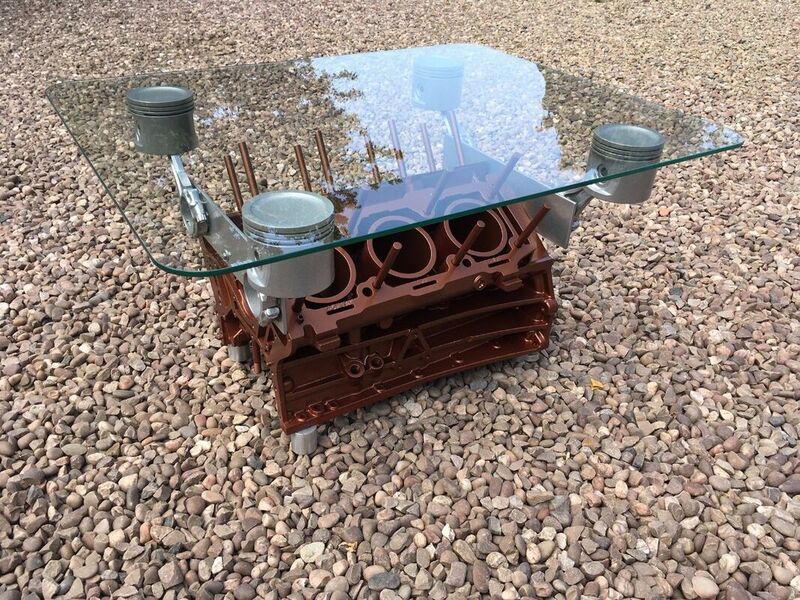 Looking for a bespoke automotive engine table, made to order? 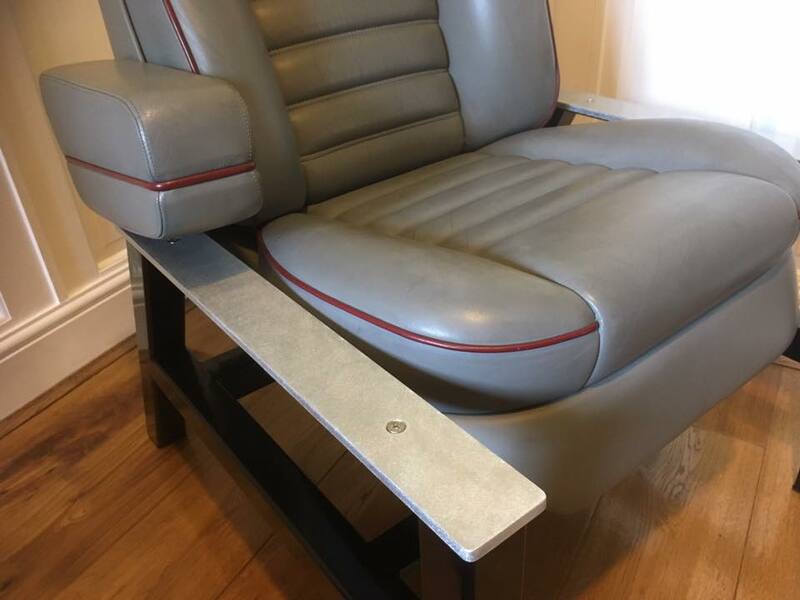 Looking for a bespoke car seat sofa or chair, made to order? 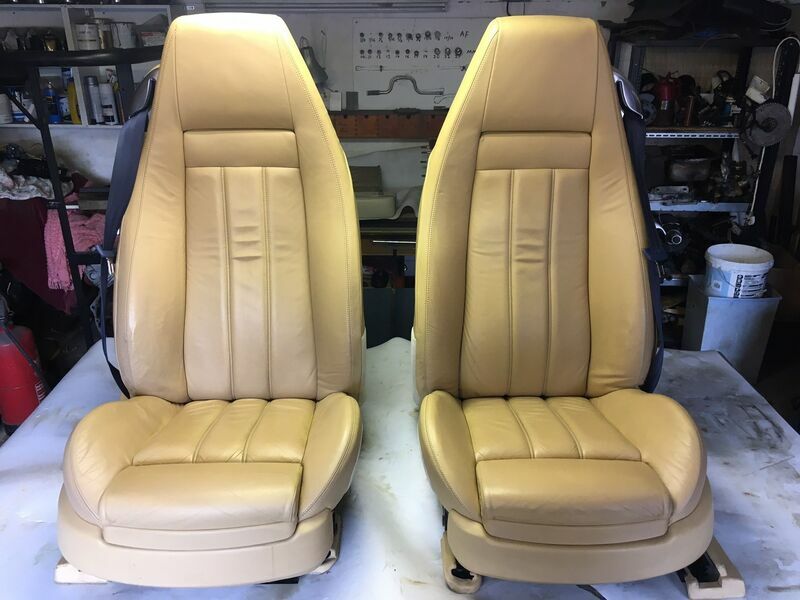 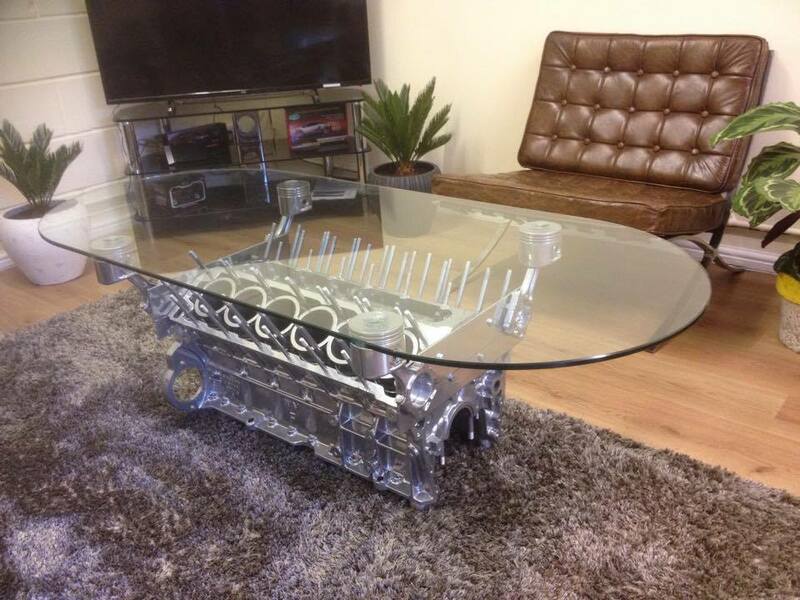 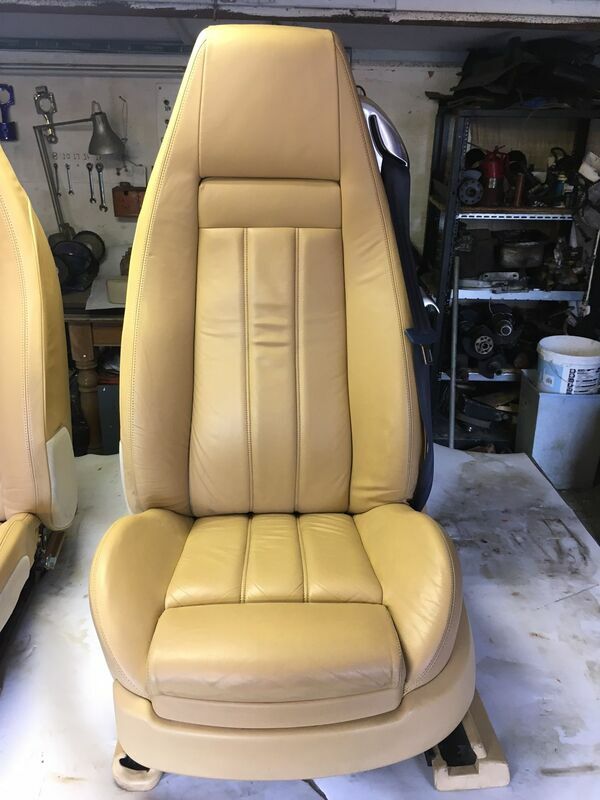 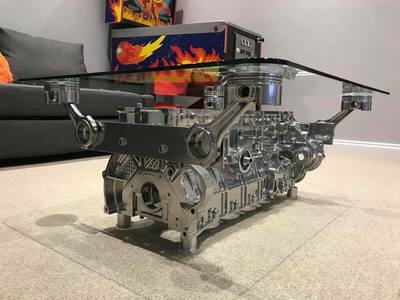 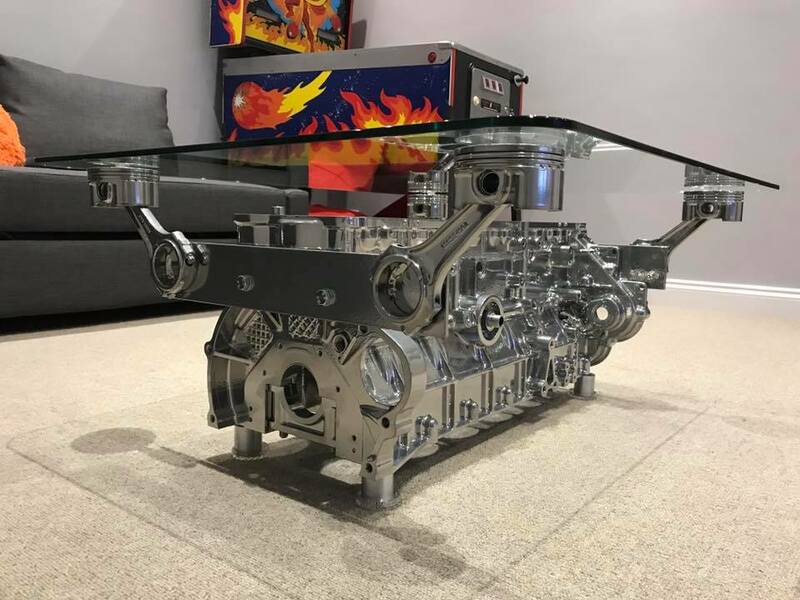 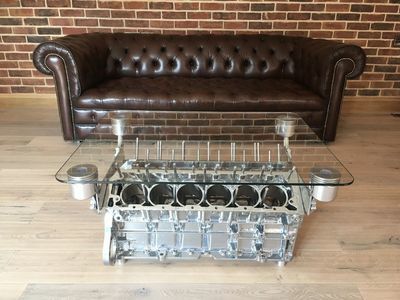 Interested in getting hold of a unique engine table or Rolls Royce sofa, but want it quickly? Something new and totally unique! 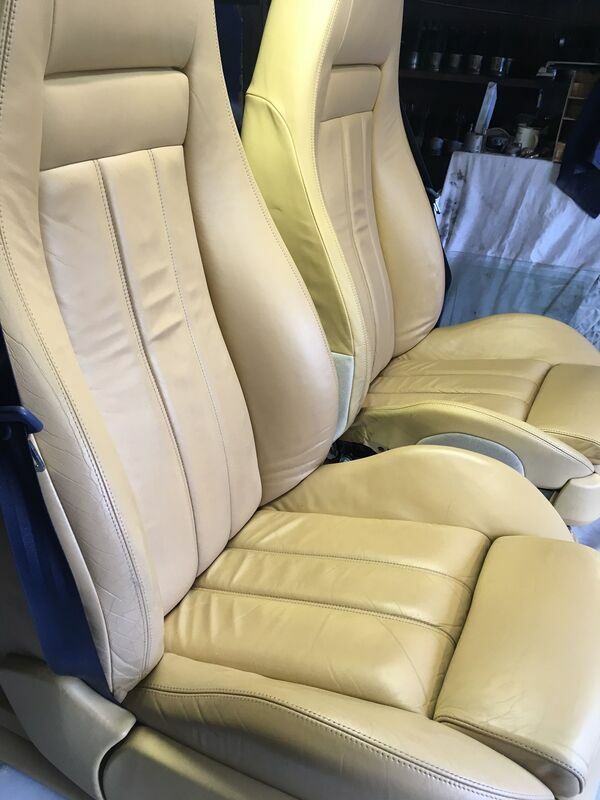 Just completed and available now is this striking armchair built from the armoured seat out of a Lynx Wildcat helicopter gunship! 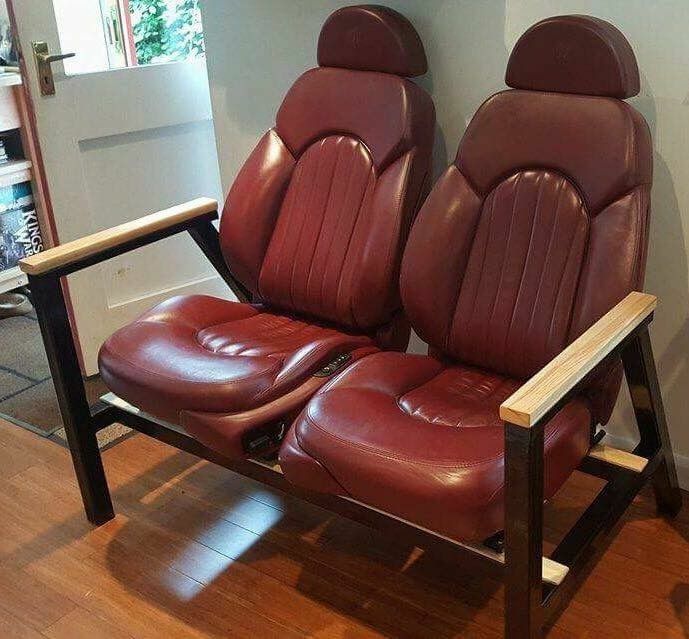 Complete with the original text and patination of service this pilots seat is now ready to be the striking centre piece of any room. Perfect for your games room, mancave or maybe reception area or showroom? 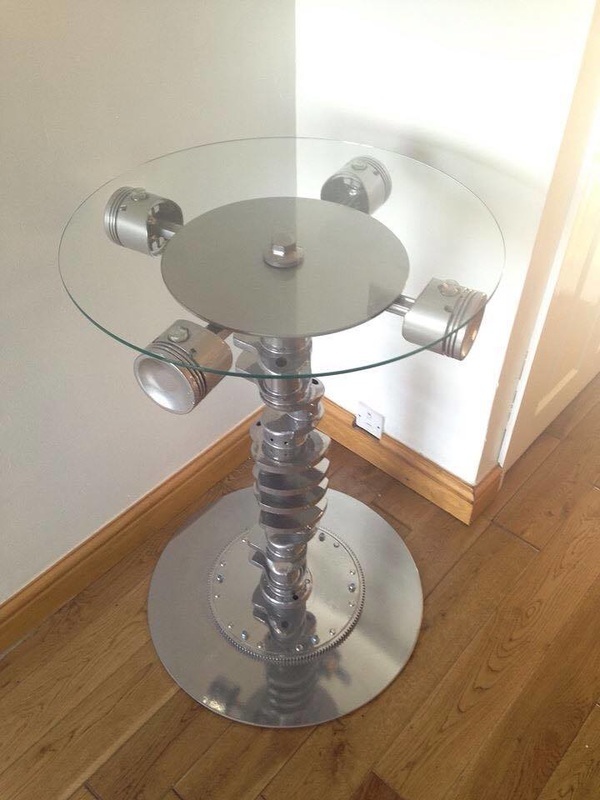 Full UK delivery is available so just contact me for more details|! 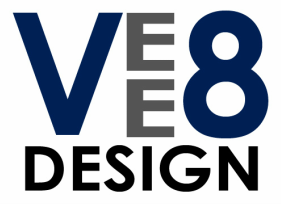 ﻿vee8design also has Facebook, Instagram and Twitter pages, as well as a direct email address. Please do take a look at these pages if you'd like more information. 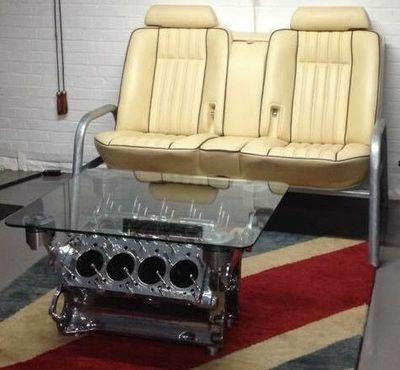 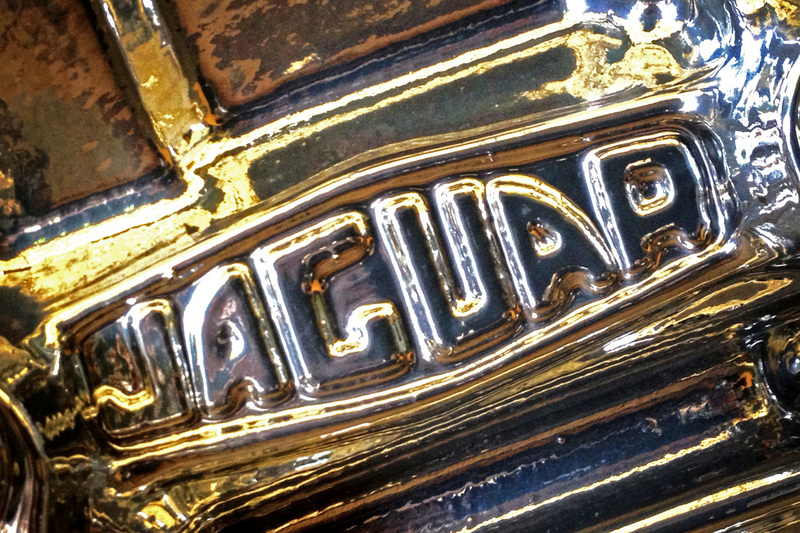 Engine Coffee Tables and Car Seat Sofas, handmade in England.